Between being inspired by finally watching Lupin the Third Part Four (the blue jacket series set in Italy) and not feeling like ingesting all the setting lore needed to really give Blue Rose a proper shot, Robin and I decided to run a 1970s-set globetrotting cat burglar Savage Worlds duet game. Unfortunately, there really isn’t much in the way of support materials for such a game. This isn’t that surprising; the particular mood and tone we’re going for isn’t found in that many works. 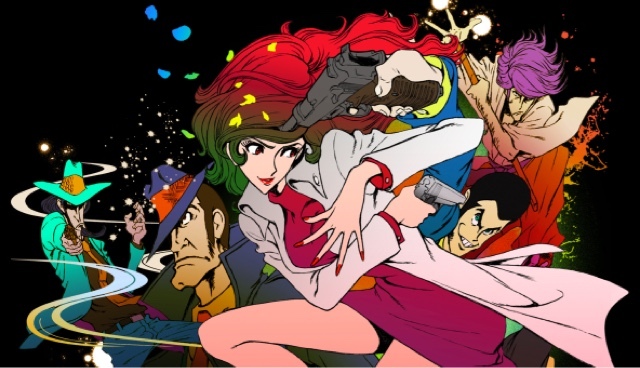 Outside of the Lupin the Third franchise, there’s what? The Saint? Two Pink Panther movies? Steven Soderbergh’s Ocean’s series? Hitchcock’s To Catch a Thief? Leverage – both TV series and RPG – come close without quite hitting the mark. The basic rulebook at least doesn’t really support the mood we want, and I don’t feel like paying $25 for the Leverage Companion, Vol. 1 (which, with its firearms rules and the like, might expand the game into more Lupintic territory). I can mine my copy of the main rules for some ideas, but the adventure generator is linked to the premise of the franchise (heroic con artists scam nasty bigwigs) that it falls short of what I need. Here then is a generator for more – shall we say – “self-directed” larceny on a global stage. Enjoy! Examples: “Bohemian/art scene” and “resort/sports” suggests Aspen, Colorado in North America, Lucerne, Switzerland, in Europe, and Rio de Janeiro in South America. “Commerce/politics” and “historical/heritage” might suggest Kyoto, Japan in Asia, London, England in Europe, and Mexico City, Mexico in North America. This is perfect for the genre, you're trying to go for. I could see myself rolling on the Continent, then City Characteristics table. Then going to search up a city to match what I'd rolled. From there I might be able to search a Target, based on what city I ended up rolling. Like say I rolled Intelligence/Cash and found out that the City in question has a local legend about a ship that sunk of the shore of the City. There you have it a sunken treasure ship and the Mark is the only one who knows it's location.